I love dehydrating, and today’s podcast is all about drying food! 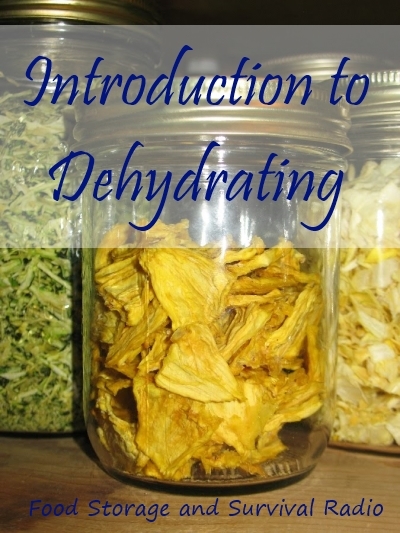 Why dehydrate and what you need to get started dehydrating. We also discuss how to dry fruits, vegetables, herbs, and meats, and the best ways to store them. I’ve tried dehydrating fruits and vegetables last week. 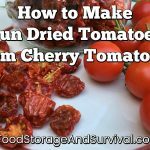 I don’t own a dehydrator yet but I am planning to buy one. I’ll try it on my oven first before buying one. Great episode! Oooh this is great information! I found you via Survival Mom and I’ve pinned a few of your pages now. I would love to win the dehydrated food giveaway then supplement with my own dehydrated foods.